The incredible story of Phiona Mutesi, the now 20-year-old Ugandan chess phenom, began in a slum in Katwe, when 9-year-old Phiona and her family were living on the street. “Having been hungry for almost three days, my brother came and told us about the chess program they always had because he wanted us to go and get something to eat,” said Mutesi. There, at the SOM Chess Academy, Mutesi said she transitioned from going there just for food to showing up to play. Mutesi’s coach and mentor Robert Katende, who uses chess and sports as a means of improving the lives of children living in Ugandan slums, said that while Mutesi’s skill for the game was swiftly apparent, even he was shocked by her win in the women’s junior championship in Sudan in 2009. “That is when I became more serious and said, ‘Now this is now going beyond what I have ever even thought of,’” Katende admitted. For Mutesi, the tournament was a surreal experience in more ways than one. “I’m seeing, like, showers for the first time. I’m seeing, like, flushing toilets for the first time. I had never slept in a bed by myself. I always slept by my brothers on one bed,” she recalled. Following her big win, Mutesi went on to compete at tournaments in Russia, Turkey and Africa. But her greatest accomplishment, she said, was when she realized she’d earned enough money to buy her mom some land and a house. Mutesi is expected to graduate high school this year, and says she hopes to one day become a lawyer. 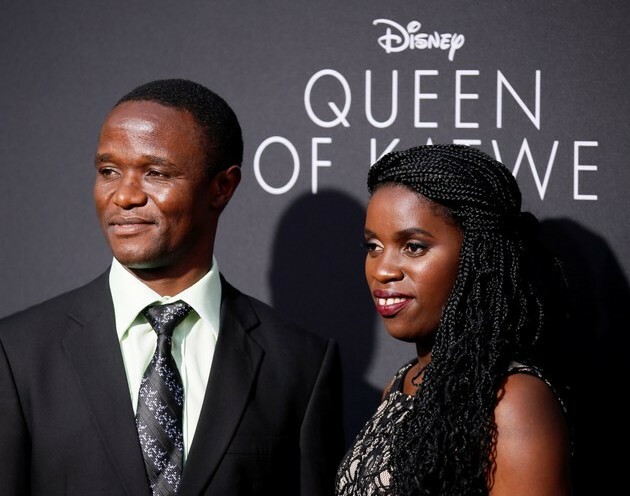 Her story is the topic of a new film premiering this week, Disney’s “Queen of Katwe,” starring Lupita Nyong’o, David Oyelowo and Madina Nalwanga.